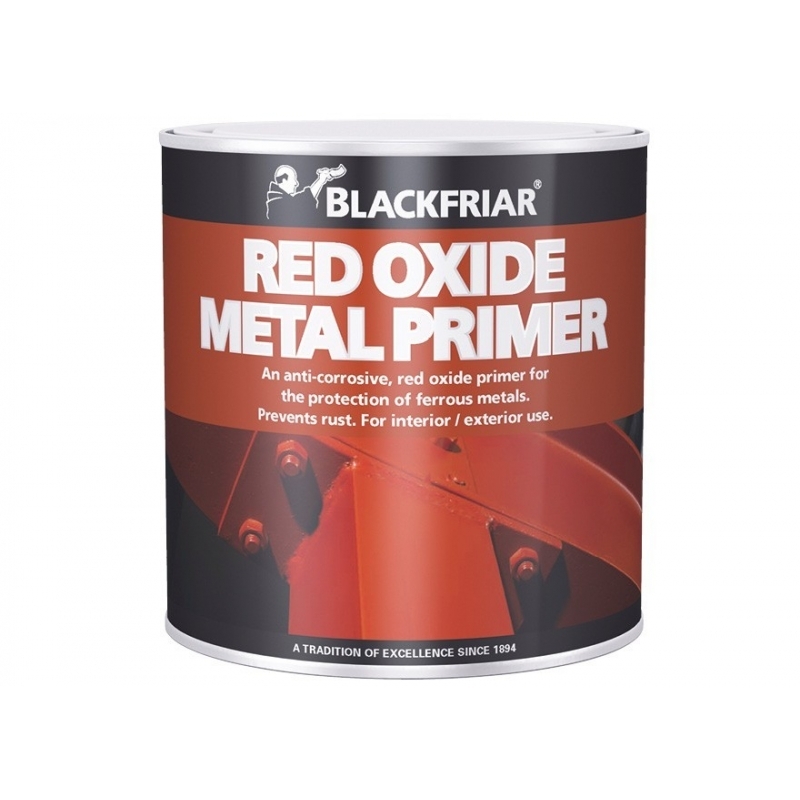 Blackfriar Red Oxide Metal Primer protects ferrous metals such as steel and iron with a special water-resistant formulation. 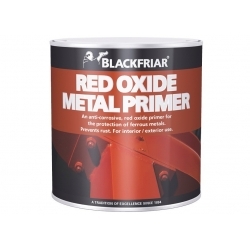 Blackfriar Red Oxide Metal Primer protects ferrous metals such as steel and iron with a special water-resistant formulation. Suitable for interior and exterior use. 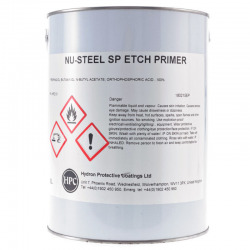 Nu-Steel SP Etch Primer is a single pack primer giving excellent adhesion to aluminium and other metal prior to subsequent paint systems. Advantages Available in Grey and Red Oxide. Excellent adhesion to metals. 12m²/Litre typical coverage. 12-month shelf life. 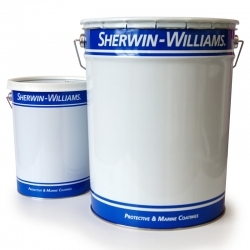 Sherwin-Williams Zinc Clad II EU is a self-curing solvent based, two component zinc silicate coating for the protection of blast cleaned steel surfaces. 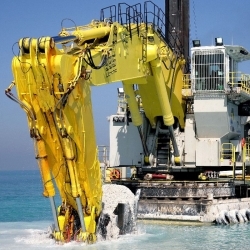 It is capable of withstanding temperatures up to 400°C and of curing at temperatures down to 0°C. A primer from Rust-Oleum to make difficult smooth surfaces coatable. 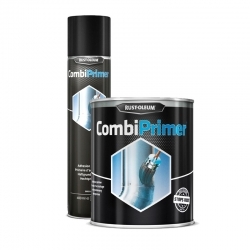 CombiPrimer Adhesion is ideal for use on galvanised steel, stainless steel, aluminium, copper, glass, porcelain and other smooth, dense surfaces that normal paints cannot stick to. 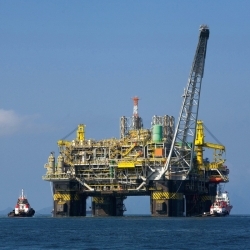 International Interplus 356 is a low VOC, two component, internally flexibilised, high build, low temperature curing (down to -5°C, 23°F), surface tolerant epoxy primer, metallic pigmented with aluminium and lamellar micaceous iron oxide for increased corrosion resistance. 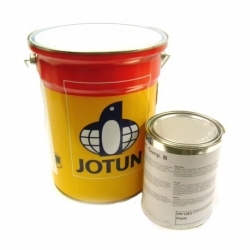 Jotun Penguard HSP MIO is a two component polyamide cured epoxy coating that is a fast drying, micaceous iron oxide (MIO) pigmented, high solids, high build product. 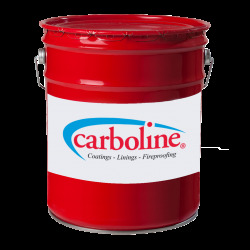 Can be used as a primer or a mid coat in atmospheric environments. 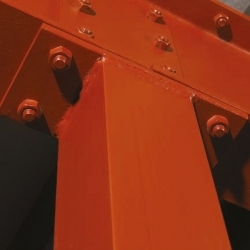 Specially designed for new construction where fast dry to handle and over coating times are required. 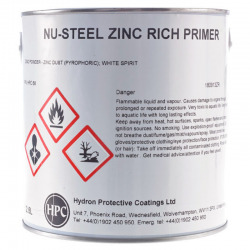 A fast drying metal primer based on two-component epoxy resin offering extra protection against corrosion on bare or blasted metal, also ideal for galvanised metal under severe conditions. 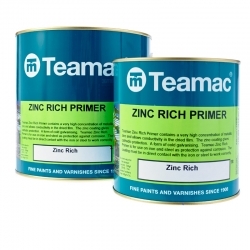 A cold galvanising paint with a very high concentration of metallic zinc providing cathodic protection and is suitable for bare iron and steel to provide the best corrosion proteciton. 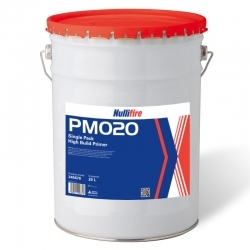 Nullifire PM020 High Build Alkyd Primer is a fast drying steel primer that provides corrosion protection on structural steel. Sika Permacor 2706 EG is a 2-pack mio-protective coating based on epoxy resin with high mechanical resistance and outstanding adhesion. 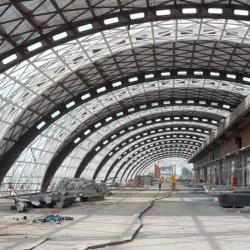 Tested and official approved primer for Sika Unitherm fire protection systems on steel. 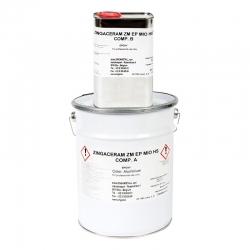 Sherwin-Williams Transgard TG111V2 is a high build 2-pack epoxy zinc phosphate primer/buildcoat, designed as anti-corrosive protection of carbon steel surfaces prepared by abrasive blast cleaning.